I was born in Fayetteville, Arkansas in 1988. The same hospital where I was delivered was the same that delivered my mother. The same year in Little Rock, Bill Clinton was halfway through his third term as Governor of Arkansas. This also meant that Hillary Clinton was serving her third term as the First Lady of Arkansas. By the time I was born, the First Lady had already devoted 14 years of her life to the betterment of Arkansas. In the time between her arrival to Arkansas and mine, she had bolstered the quality of Arkansas' infrastructure for supporting children and families. I won't go into every detail because quite frankly the list is exhaustive and other writers have done a better job telling her story. I will however speak about how her initiatives in education benefited myself and countless other Arkansas children. When I began kindergarten in 1992, the Clintons were on the verge of leaving Arkansas as Bill would soon be elected POTUS. Several years before I started school, the Arkansas school system was a relative laughing stock. A majority of the school districts did not offer chemistry or art classes. Likewise many school districts had little to no testing requirements for teacher qualification. In 1983 the First Lady was appointed chair of the Arkansas Education Standards Committee. Mrs. Clinton spent months traveling the state, listening to parents and convincing the necessary people of the need for educational overhaul. Despite push back from various group with varying agendas, a reform was approved that reduced class sizes, expanded course offerings and required competency testing for educators. Governor Clinton signed the reform into law but the First Lady was the one made it all possible. Thanks to our former First Lady, I was entitled to a quality education before I even began classes. Depending on the timing or the ranking criteria, Arkansas has at one time been fifth in the nation in regards to education (and at times as low as 45th). Regardless of the metric, I know I received an education that prepared me for college and subsequently graduate school (both of which, I attended in Arkansas). 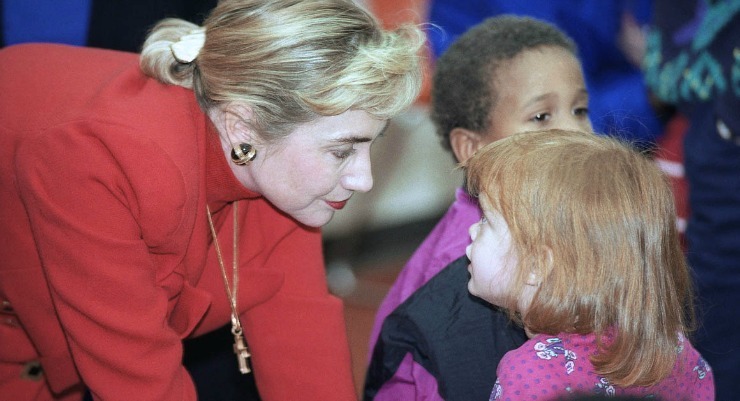 I know it was an arduous process that was often met with opposition but Hillary Clinton continually worked hard to improve my life before my life even began. In a very real way, Hillary Clinton helped lay the groundwork that led to me receiving my PhD. I was far too young to comprehend what she had done for me before she left Arkansas. Because of that, I didn't have the chance to thank her in person for placing the needs of Arkansas children as her top priority. Though it will be long overdue, I won't miss my chance to thank her this November when I cast my vote. I did not know any of this about her. Good post. As a graduate of Arkansas public schools (and law school) and former lawyer for Arkansas DCFS, I'm pretty sure the only place I haven't been directly impacted by Hillary is when I was in the womb. Even then, I'm sure she had something to do with prenatal care, so we'll just say me and Hillary have been BFF since I was in the gut.